It’s important to give your company’s roof the attention it deserves, as neglecting it can lead to extensive damage. If you’ve noticed sections of your business’s roof are leaking or otherwise in need of repair, you can trust the licensed and insured experts at Veterans National Property Services for a commercial roof repair. The goal of our local Service-Disabled Veteran-Owned Small Business (SDVOSB) is to supply your Tampa Bay company with a roof you will never have to worry about again. Whether your roof needs a small mend or substantial repair, you can rest assured the job will be completed by capable and experienced hands. 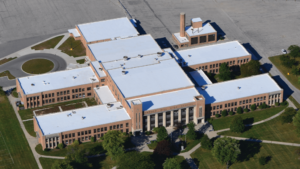 VNPS’s experienced staff and craftsmen are trained to use specialized installation techniques in order to supply your business with a seamless commercial roof repair. We also run a tight ship on all of our project sites and never cut corners to get the job done. When you work with VNPS you can expect us to keep your establishment clean, as well as follow a professional code of conduct to ensure your project is completed to the highest standards. For a commercial roof repair by experts who care about your Tampa Bay business, contact VNPS today.